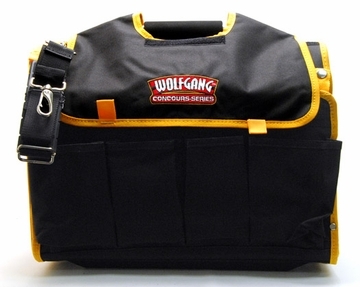 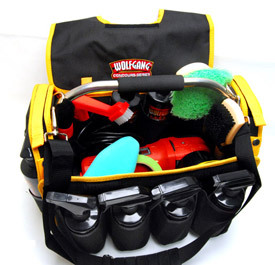 Home > Wolfgang Product Line > Wolfgang Detailer’s Bag NEW & IMPROVED! 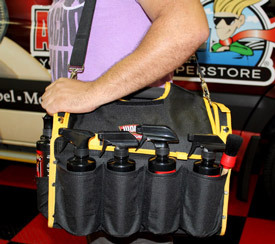 Heavy-duty, curved metal handle that allows taller bottles to fit more easily. 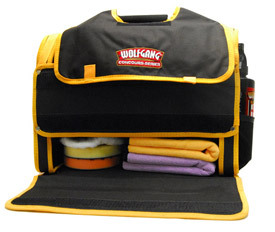 This also helps when your Wolfgang Detailer's Bag is full to the brim, but still has to be carried - there's still room for your fingers!